Mindfulness opens us up to the possibility of being fully human as we are, and of expressing the humane in our way of being. Mindlessness de facto closes us up and denies us the fullness of our being alive. This book may on the surface appear to be merely another offering in the genre of daily readings. 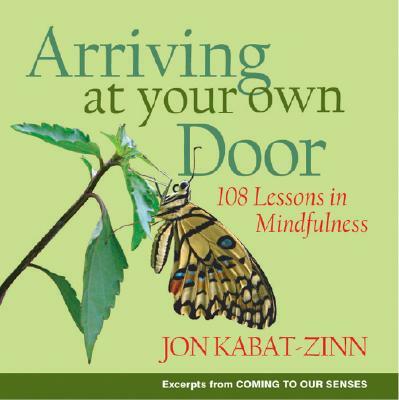 But deep within these 108 selections lie messages of profound wisdom in a contemporary and practical form that can lead to both healing and transformation. We so urgently need to rotate in consciousness in order to safeguard what precious sanity is available to us on this planet. How we carry ourselves will determine the direction the world takes because, in a very real way, we are the world we inhabit. Our world is continuously being shaped by our participation in everything around us and within us through mindfulness. This is the great work of awareness. Welcome to the threshold . . . to the fullness of arriving at your own door!